Launching a Scentsy business can be kind of a crazy experience. I mean, you just started your own business! You are finally your own boss! But that coin has two sides – not only are you your own boss but now it all depends on you! What?! Okay, pause, before you get sweaty palms, sit – let’s break it down. First, seriously you got this. Really, I don’t doubt you can rock this. Know this, 1 great party or 2 good parties and you’ve paid off your startup costs. How cool is that? Everything after that is icing on the cake! Seriously, anyone that can turn on a Scentsy Warmer is capable of earning back the $99 you paid to launch your new biz. 🙂 It’s not rocket science it’s largely persistence and determination. We’ve been doing this for more than 9 years and we’ve seen dozens if not hundreds of people join Scentsy – some rock – others roll, the greatest difference between them is whether or not they stick with it. It’s really all in your hands. 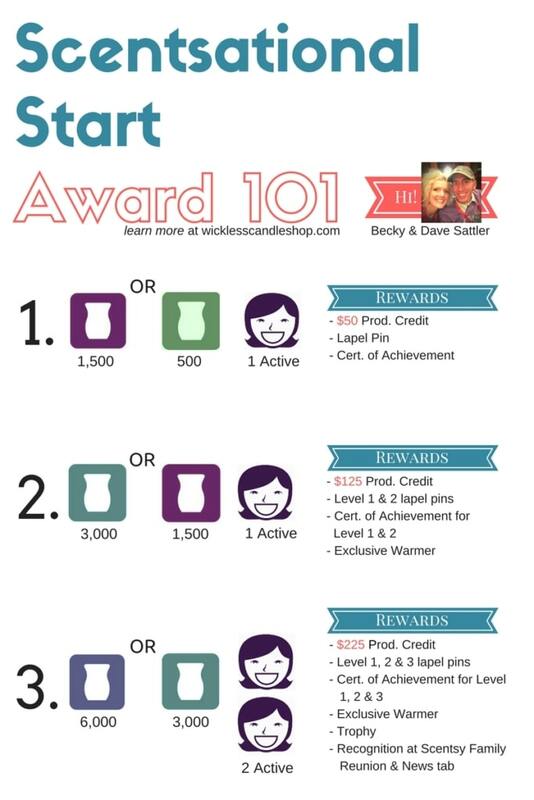 Now, if you’re considering joining Scentsy and becoming a Scentsy Consultant, there are some amazing incentives that can ONLY be earned in your first 15 or 70 days as a Scentsy Consultant and once those days pass they’re gone, you can’t earn them any more. One of the incentives is called the Shooting Star Enhancement Kit. Basically you sell 500 in PRV (approx. $500 USD) and you are then eligible to purchase a great kit of Scentsy products at an amazing price so you get more products you can demo at a party, fair, show, Facebook party, or however you want to use them! And that’s great, but in my opinion there is a far better incentive to focus on to really get your Scentsy business off to an awesome start. You didn’t ask but I’ll tell you – the single greatest way to launch your business is to take advantage of the Scentsational Start Program. Why? Scentsy has shared the results of research they’ve done that indicates that those who earn Scentsational Start go on to become Directors. Not only that but earning Scentsational Start gives you product credit, an exclusive warmer, recognition at Scentsy Family Reunion, oh, and did I mention product credit?! Level 1 starts with $50 in product credit and that goes up to $225 at Level 3, how awesome is that!? Now let’s look at Scentsational Start Level 2. If you earn Level 2 (either method – the sales or the combo) you’ve done all the same things as Level 1 but if you earn it through the combo method (in 1 month) you’ve double promoted to a Lead Consultant and now tap into 3 of the 10 ways you can get paid as a Scentsy Consultant! In addition to the awesome start you have and the glorious commission check that awaits you, you’ll also be awarded $125 in FREE product credit! That’s more than double the amount awarded for Level 1! Now, Scentsational Start Level 3. This is by far the Super Supremest way to launch your new Scentsy business! To earn this level you’ve got 70 days to sell 6,000 in PRV – that’s a lot, not undoable but again I’m going to steer you towards the combo method – 3,000 in PRV and 2 Active Consultants. Active means that your new teammates need to sell 200 in PRV (approx. $200 USD) in your first 70 days. Both methods are great but if you earn it with the combo method you are a Star Consultant! That means you’ve moved from Essential to Certified to Lead and finally Star and you’re tapping into 4 of the 10 ways you can make money as a Scentsy Consultant! And, bonus – you’ve just earned $225 in product credit! So, yeah, it’s a lot of work but it’s by no means out of reach and if you’re going to launch your biz might as well go big or go home and you’re really set up to earn Director AND you get FREE product credit! 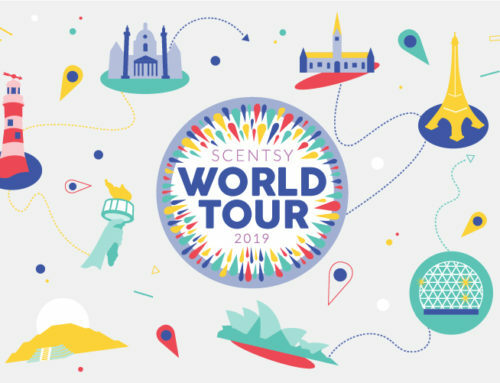 If this sounds like how you’d like to kickstart your Scentsy business then it’s time to start your own business and become a Scentsy Consultant! Follow the link to Join Scentsy and start your Scentsy career today!